Bark for Life High Park Dog Walk! 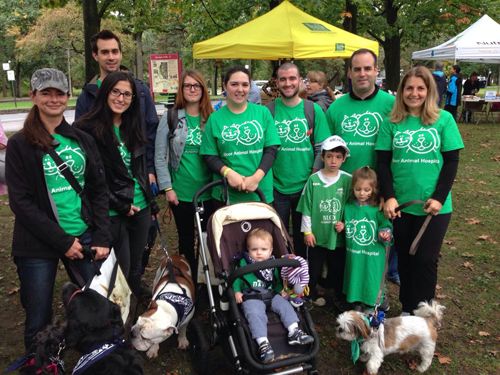 On September 21st at 10 am we are walking through High Park in support of The Canadian Cancer Society Bark for Life Dog Walk. We would love to see as many of our furry patients out in High Park as possible so we are spreading the word! Help us tell cancer it barked up the wrong tree. 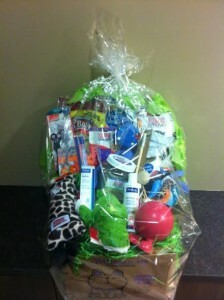 We are also raffling off tickets for this fabulous basket. Tickets are $5 each and can be purchased at Bloor Animal Hospital until September 19th. Thank you for your support, we hope to see you there!